Chewing gum is one of the most common products in the world. It’s estimated that nearly 175 million people in the US alone use chewing gum regularly. Most chewing gum is produced using synthetic ingredients like plastics and rubbers. 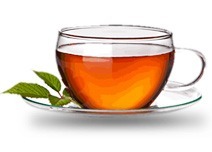 Artificial flavorings are also commonly used to create all the most common flavors. Many artificial gums contain sugar. But after pushback from consumers regarding the use of sugars companies have started using more artificial sweeteners and chemicals to provide the tastes that consumers demand. Obviously this still fails to satisfy the demands of many consumers that want something more natural. Natural gums are also popular, though, and appear to be gaining a following. More people throughout the world are looking for more details on the products they consume. They want to know the origins. They want to know the ingredients. They want to make sure that what they’re putting into their bodies is both healthy for themselves and for the environment. 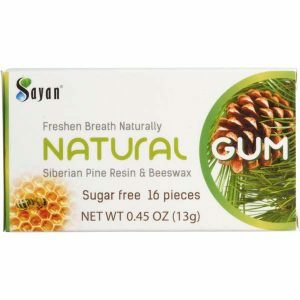 Natural gum, clean gum and other native gums have been part of human history as far back as historians can figure. Many cultures used gums from trees and other plants for various uses including teeth cleaning and breath freshening. It’s also thought that it provided a way to ward off hunger for some that lacked access to certain foods. Or maybe for many, like today, it was a way to provide a natural stimulus. Before the last century or so, gum was always natural. The Greeks had gum found on trees in the region. Eskimos would use whale blubber as chewing gum. The Chinese would use Ginseng plants. Native Americans would use sugar pine and other pine saps. Early settlers in North America would use tobacco leaves for chewing. Modern chewing gum originated around the mid 1800s. Industrialists started substituting rubber and other synthetic products and ingredients for the natural gums found around the world. The goal was to provide something to chew on for consumers without needing to find the items in nature. Costs could be lowered and that main benefit seemed outweigh any potential health downside and that was the case for many decades.